 What you need when you need it. Choose from a basic “Express” exterior car wash to a complete “Showroom” detail package or anything in between. All done expertly and with the highest quality soaps and waxes.  Amenities. We know you are busy, so we strive to provide you with a comfortable and productive space while you wait. All our locations have comfortable lobbies and outside seating areas with free Wi-Fi access, free popcorn and free premium coffee. We also vend snacks, drinks and car care products for your convenience.  Safe for the environment. We are environmentally responsible as we believe it is the right thing to do. We reclaim and reuse our water, we use the latest technology to save energy, and we dispose of our waste responsibly. Plus, all our soaps and waxes are designed to be environmentally safe, while maintaining the highest standards of quality for your vehicle.  Foam Zone – This is where the cleaning happens. As you enter our wash tunnel, we apply presoak and soap with different Ph levels, designed to loosen and remove the dirt. We then use our state of the art Soft Touch safe equipment to complete the cleaning process.  Shine Zone – This is where the magic happens, only after your car has been thoroughly clean do we add any wax products. We offer Simoniz Triple Foam Polish, Simoniz Carnuba Hot Wax & Shine, and Simoniz Sealer Wax. These products can be combined to deliver maximum shine to your vehicle. 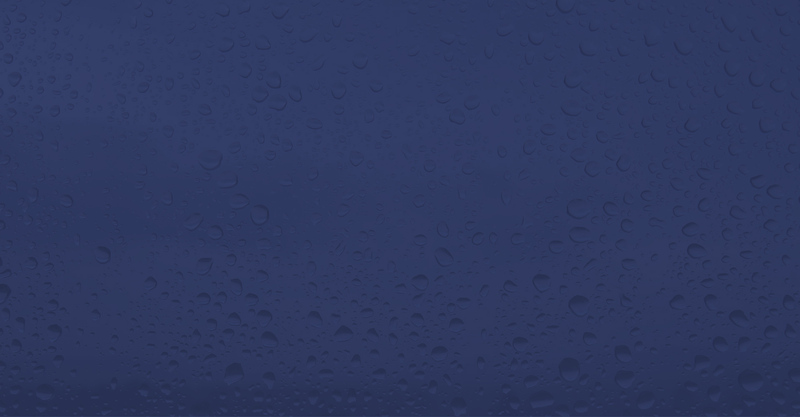  Protect Zone – Harmful UV rays and rain can eventually harm the delicate clear coat on your vehicle’s surface. Protect Zone offers the right products to help you prolong the life of your paint. Once the proper wax products have been applied, you can choose Simoniz Clear Coat Protectant to seal the paint surface and add UV protection. You can also add Rain X Complete, which provides protection from rain, by helping the beading process and allowing water to run off your vehicle, and your windshield.  Finish Zone – The final phase of the wash process is rinsing and drying. We use the latest reverse-osmosis process to remove minerals and impurities from the water, to create spot-free rinse. We apply this rinse as the final step, to remove soap residue and deliver a spotless car. We then dry the car with our sonar driven dryer system that follows the contour of your car to insure the most efficient drying process. The result, a clean, shiny dry car. 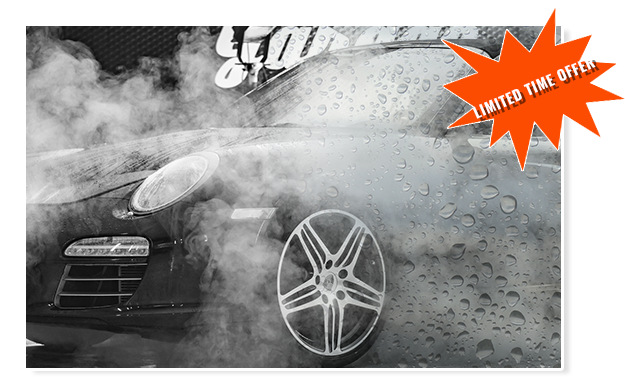 If you’re in need of great car wash service or car detailing, Wetzone Car Wash is the place to go. 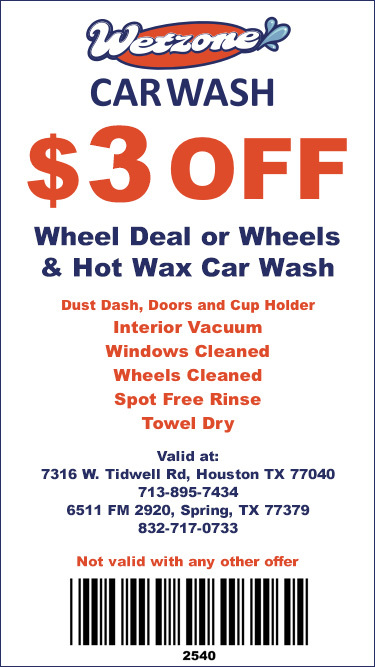 Both of our locations in Houston and Spring are conveniently located, making it easy to get exactly what you need make it easy to get exactly what you need to ensure that your car stays in amazing shape. We take a lot of pride in always being able to provide what our customers need, when they need it. If you come visit any of our convenient locations, you’ll be able to see why we’re the only place that many people will go to get their car washed or detailed. One of the traits that sets Wetzone apart is our unique Flex car wash environment. The most common approach that car washes take is to either offer a completely automated experience or an exclusively hands-on service. The problem with making customers choose between these two types of car washes is there’s no way to get the best results. When a car wash is fully automated, the lower price point is likely to be attractive. But the results of a car wash that doesn’t involve any human touch almost always end up disappointing. While that’s not an issue with an exclusively hands-on service, only utilizing human labor instead of any technology means these car washes have to charge steep rates for their services. Because neither of those approaches is ideal for people like you, we have our own approach to helping our customers take care of their vehicles. By combining the latest car wash technology and human touch, we’re able to offer a variety of car wash and detailing services. Not only do these services deliver quality results, but they do so at very reasonable rates. Another advantage of our Flex philosophy is you can always get exactly what you want done without paying more than necessary. If your car is looking good but just needs a little freshening, any of our Express Exterior Car Wash packages will take care of your vehicle for less than twenty bucks. And then if you ever find your car in need of more personalized attention, you’ll easily be able to get it with Wetzone Car Wash by choosing one of our car detail services. In fact, you can save by bundling two or more Express Detail Services. You can also get an excellent deal on one of our Full Detail Services. By providing what you need when you need it, making customer satisfaction a top priority, offering amenities like free Wi-Fi and running our business in an environmentally responsible way, Wetzone Car Wash is able to offer an experience for every customer who visits us that’s simply unparalleled. Our full service hours are from 8AM to 6PM every day. 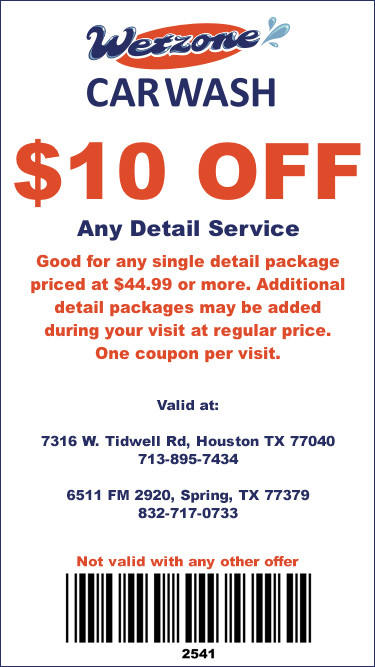 So if you want to see just how easy and affordable it can be to keep your car in great shape, we encourage you to come visit us soon!